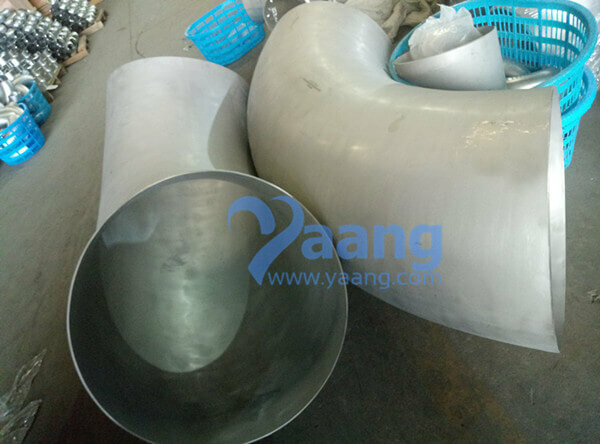 China Welded Elbow Manufacturer Yaang supplies ASME B16.9 ASTM B366 Hastelloy C276 90 Degree Welded Elbow LR, DN609.6x4MM. Dimensions are in millimeters unless otherwise indicated. Wall thickness (t) must be specified by customer. Dimensional tolerances are in millimeters unless otherwise indicated and are equal ± except as noted. 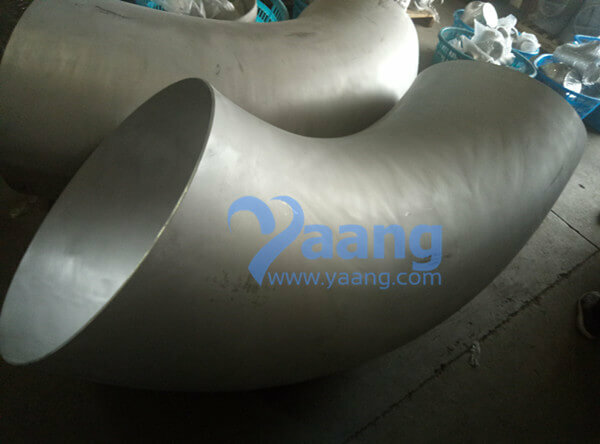 MSS SP-43 only covers stainless steel buttweld fittings made for use with Schedule 5S and 10S pipe and Stub Ends suitable for use with Schedule 40S pipe, as defined in ASME B36.19. The dimensions and dimensional tolerances defined in MSS SP-43 are substantially the same as those in ASME B16.9 specifications from NPS 1/2 - NPS 24. Except with regard to the outside diameter at the bevel. In what forms is Hastelloy C276 Available? Considered one of the most versatile corrosion resistant alloys available, Hastelloy C-276 exhibits excellent resistance in a wide variety of chemical process environments including those with ferric and cupric chlorides, hot contaminated organic and inorganic media, chlorine, formic and acetic acids, acetic anhydride, seawater, brine and hypochlorite and chlorine dioxide solutions. In addition, alloy C-276 resists formation of grain boundary precipitates in the weld heat affected zone making it useful for most chemical processes in the as-welded condition. This alloy has excellent resistance to pitting and stress corrosion cracking. What are the characteristics of Hastelloy C276? In what applications is Hastelloy C-276 used? Hastelloy C-276 alloy can be forged, hot-upset and impact extruded. Although the alloy tends to work-harden, you can have it successfully spun, deep-drawn, press formed or punched. All of the common methods of welding can be used, although the oxyacetylene and submerged arc processes are not recommended when the fabricated item is for use in corrosion service. Alloy C276 welding products are used as matching composition filler material for welding C276 alloy wrought and cast products, for dissimilar welding applications including other nickel-chromium-molybdenum alloys and stainless steels, and for weld overlay or cladding of steels.